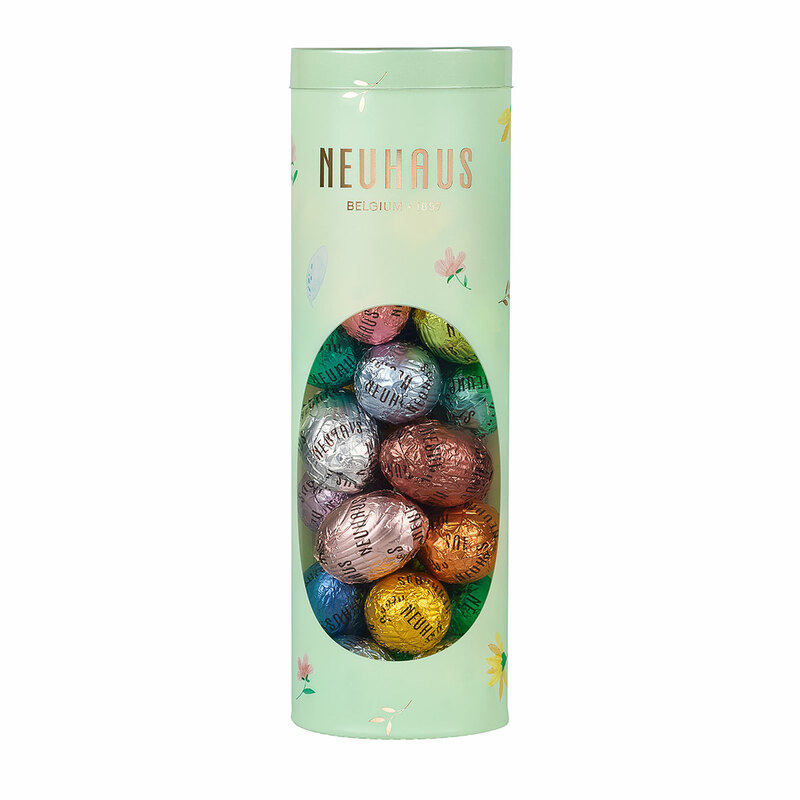 This playful tube contains filled Easter eggs in all colours and flavours. 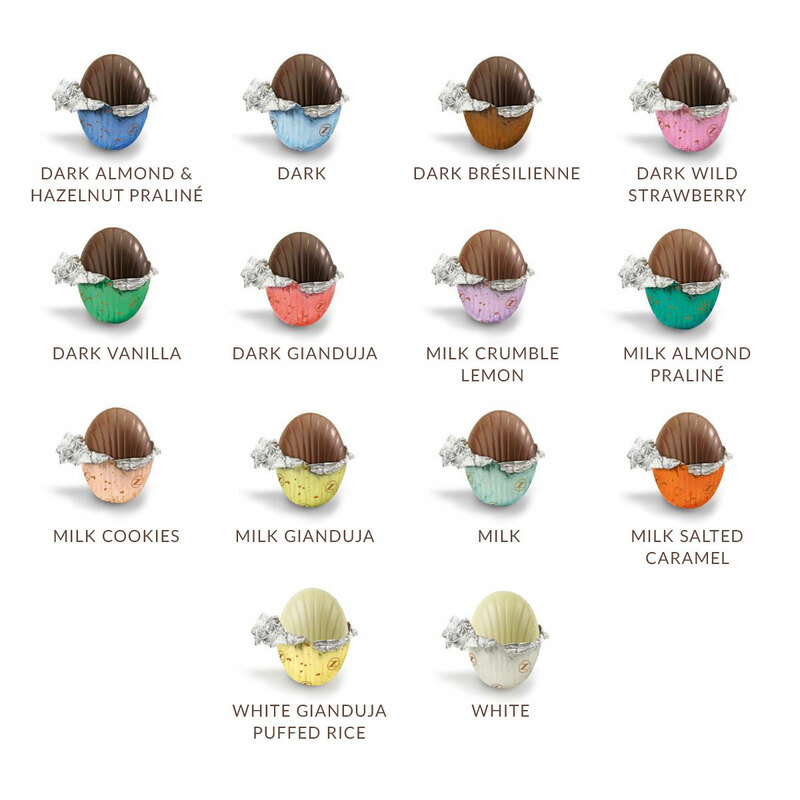 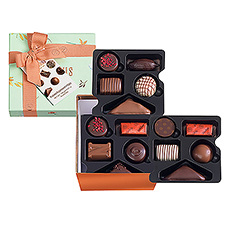 The Easter Egg collection welcomes a new flavour: a milk chocolate egg with caramel & almond filling. 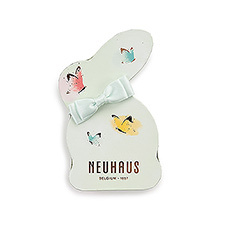 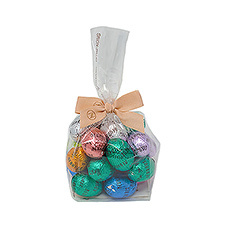 This new Easter egg complete the range of colourful Easter eggs in dark, milk and white chocolate. 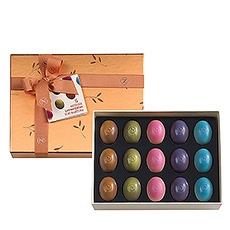 This box includes 27 filled chocolate eggs.